Val's Quilting Studio : Voting has begun! Hi guys! 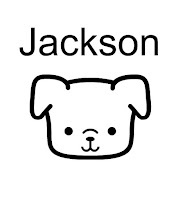 Jackson here. I saw on my mom's computer that the voting for the Pets on Quilts voting has begun! My post is entry #11 in the category for Dogs on Quilts...ya know, just in case you were undecided...I'd love your vote!! I'm thinking you've already won the real prize... a loyal fur friend who appreciates your quilts! Even if he does try to bribe judges. You've got my vote Jackson! Tummy rub to you, sweet Jackson! You got my vote! I voted for Jackson this morning! He is such a cutie, I hope he wins! Good luck!